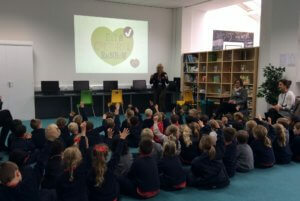 Amanda Ursell Visits Grace Dieu! 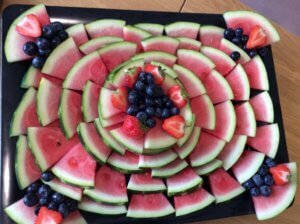 This term we welcomed Amanda Ursell, nutritionist and journalist, who came in to talk to all our pupils about eating a balanced diet. 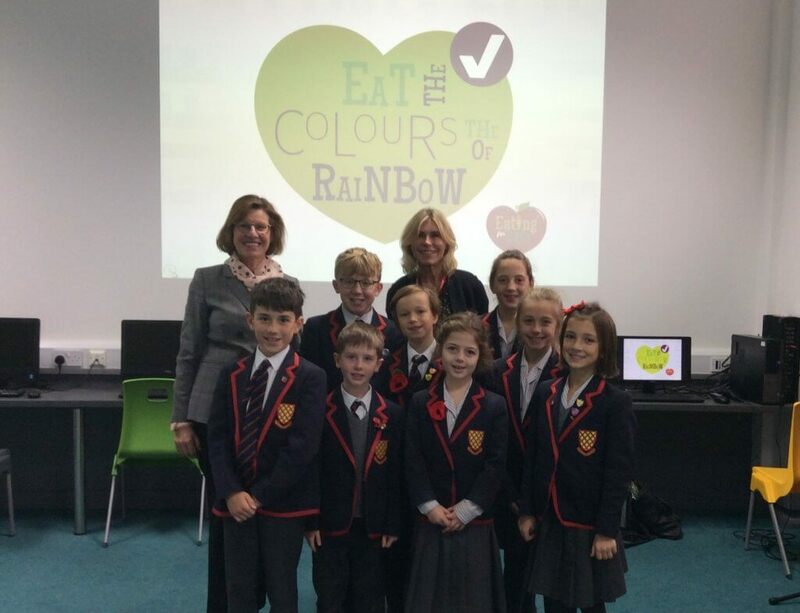 Amanda held a very engaging assembly where she encouraged us to ‘eat a rainbow’ of different coloured foods and inspired us to choose healthy alternatives to our favourite foods such as sweet potato fries instead of chips and fruit smoothies instead of milkshakes! 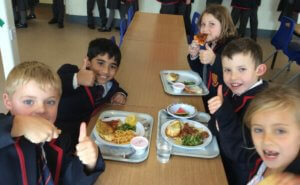 The children asked lots of questions about fruits and vegetables and enjoyed listening to Amanda explain why some of us might not like broccoli because we are a ‘supertaster’, someone who is extra sensitive to bitter tastes! 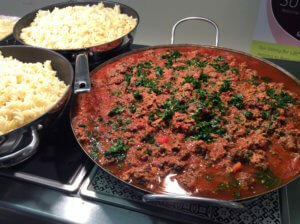 She challenged us all to see how many different coloured foods we could manage to put on our plates at lunch times. 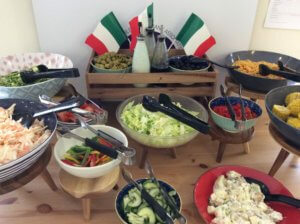 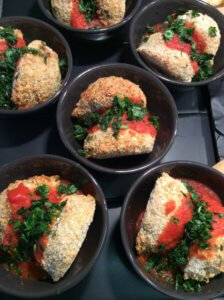 As luck would have it, that same day was our Taste of Italy day and all our pupils enjoyed a technicolour menu of delicious cuisine! 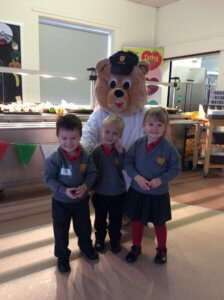 Even our Chef Bear, Hairy McBeary made an appearance to join in the fun!